Before other sophisticated bed designs came, there is one bed type that had been here for a long time. This is the kind of bed that we usually see in classic settings but there are also modern counterparts of these beds. We are talking about sleigh beds. Well, like what the name suggests, this bed resembles a sleigh. It has an outward curving headboard and footboard. But there are also instances that only the headboard has that curvy design while the footboard is plain or has some drawers on it. Whatever style variation is added to this bed, it can never go away with the tall curved headboard that is associated with it. 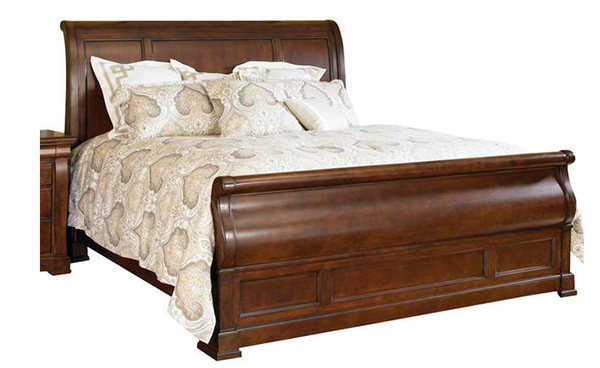 Traditional sleigh beds would come in different designs and are mostly made of wood. 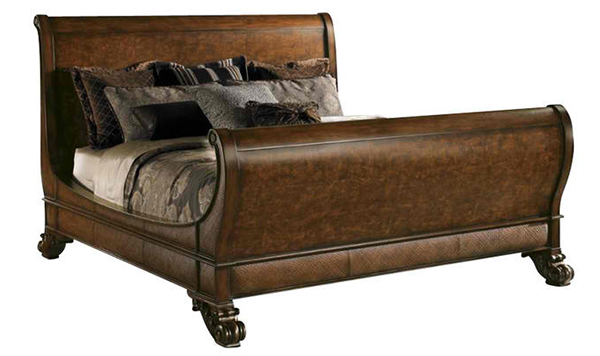 Although, there are also other sleigh beds that have metal or iron accents on them. 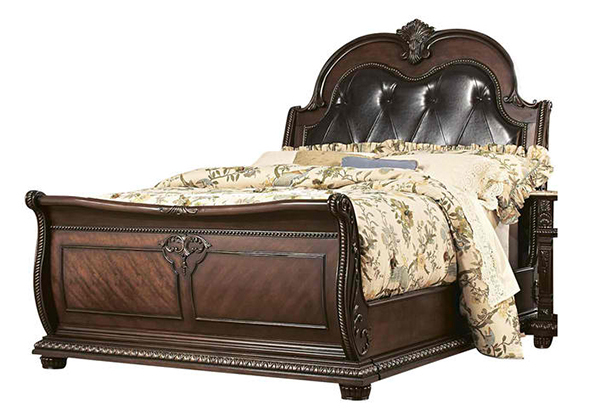 But today, we will show you wooden sleigh beds in traditional design. Scroll down and take a glimpse of these classic bedroom furniture. Rich linen look fabric covers the headboard and footboard with wood border and nail head trims. Decorative wood rosettes are cared on the scrolled post of the headboard and footboard. Drawers on the footer is one good feature of this bed with clipped corners and routed pilasters. 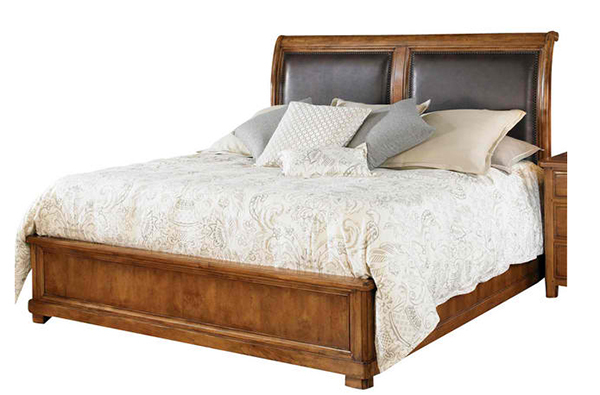 Its antiqued bronze finish hardware featuring an elegant garland motif with drop ring pull add further accent to the bed. Raised panels and heavy moldings are featured in this sleigh bed in clean, dramatic lines and a simple platform base footboard. 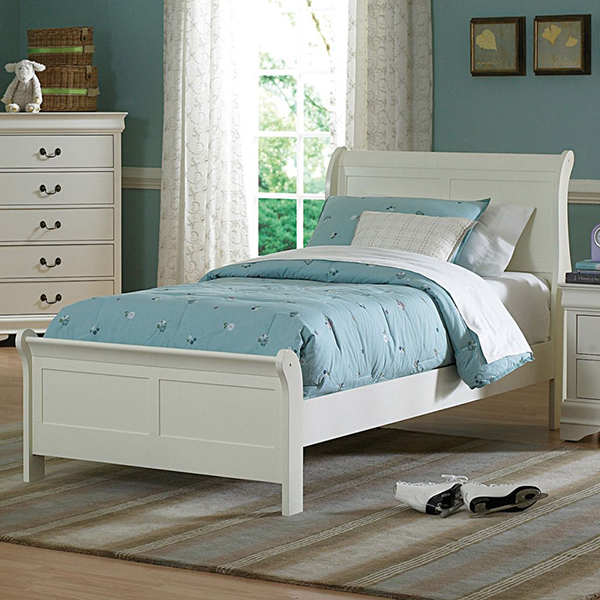 A more sophisticated sleigh bed that speaks romance and royalty in a Vintage White finish, featuring tone-on-tone highlighting and textured treatment. A touch of craftsmanship is reflected in this bed in solid wood and upholstered headboard in black. 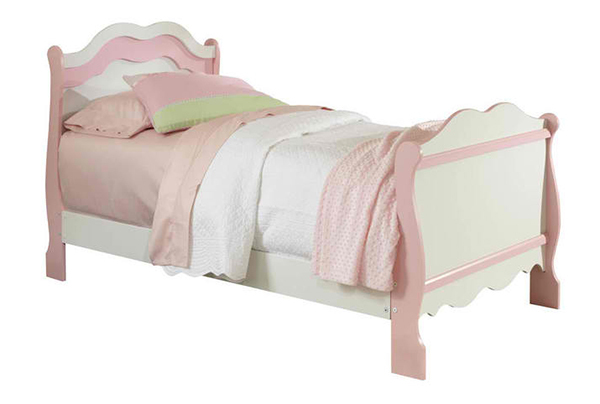 Adorably cute and charmingly sweet bed lavished with girlie-girl details in pink and white color scheme. The soft white tone of this bed will highlight ever duvet set that you place in it. 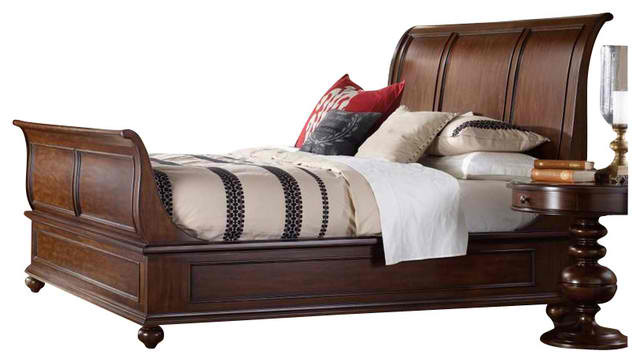 Cherry wood and rich veneer are combined to create a classic bed that has an enchanting appeal. A queen sleigh bed from Mahogany solids and quarter-matched White Ash burl veneers with woven wicker inlay on the side rails, headboard and footboard end panels. 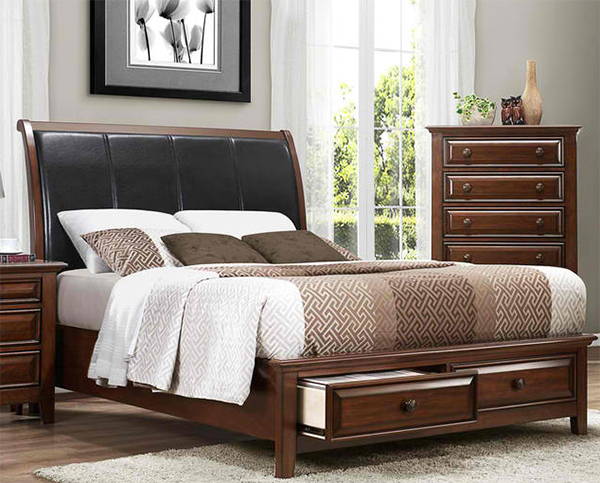 A classic transitional style bed with a black bi-cast vinyl wood framed headboard and drawers on the foot. This bed exemplifies the rest of Old World Europe featuring egg and dart base moldings, rope twists under case tops and on bed posts, acanthus and tobacco leaf carvings, florets and inset marble tops. 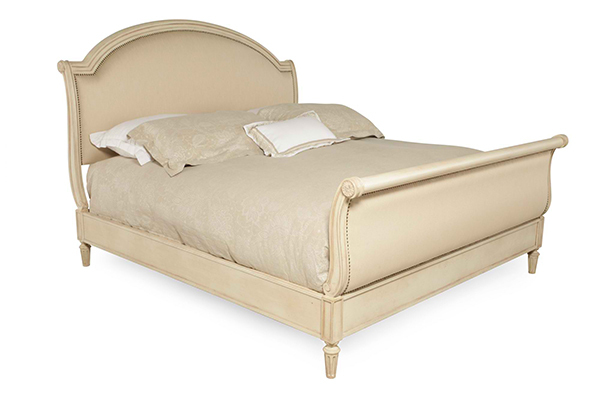 Lend your bedroom the spirit of a French estate from this bed made from mahogany solids and select mahogany veneers. Just look at how whimsical this bedroom turned out as this white sleigh bed sits on the bedroom with beauty and pride. A black traditional sleigh bed with clean lines in it lending it some modern appeal. 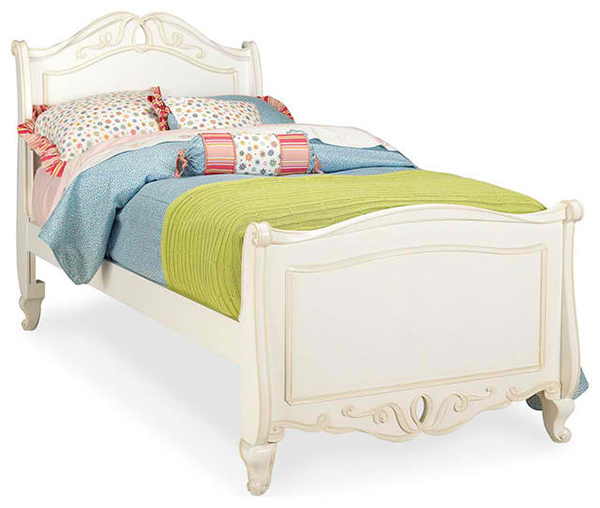 Beautiful flower bouquet designs are hand-painted on this bed that is perfect for kids. So, what can you say about the beds above? Well, if you are not into a traditional interior, don’t worry, we have modern sleigh beds coming up for you but for the meantime, you can take a look at round beds if you want to bring in some soft unique touch to your bedroom. We have more bed round-ups to show you so be sure to come stop by again here on Bedroomm where every bedroom piece is a picture of elegance!